VH-TQT. 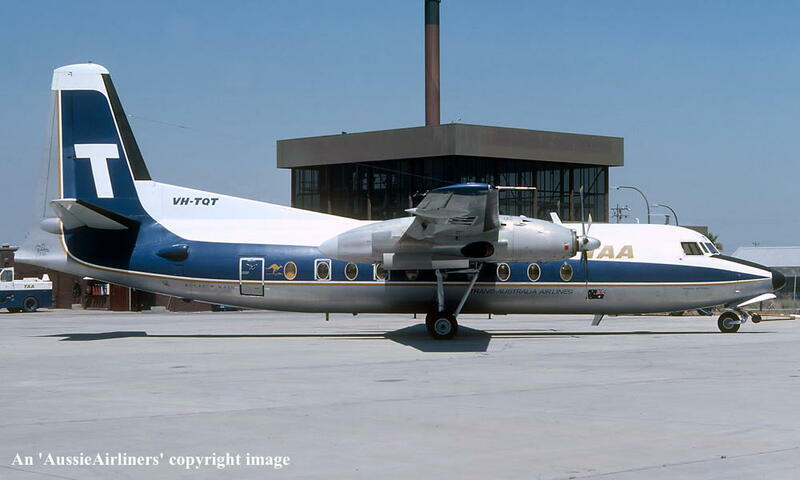 Fokker F.27-6187 Friendship. c/n 10458. Registered to Fokker - VFW N.V. 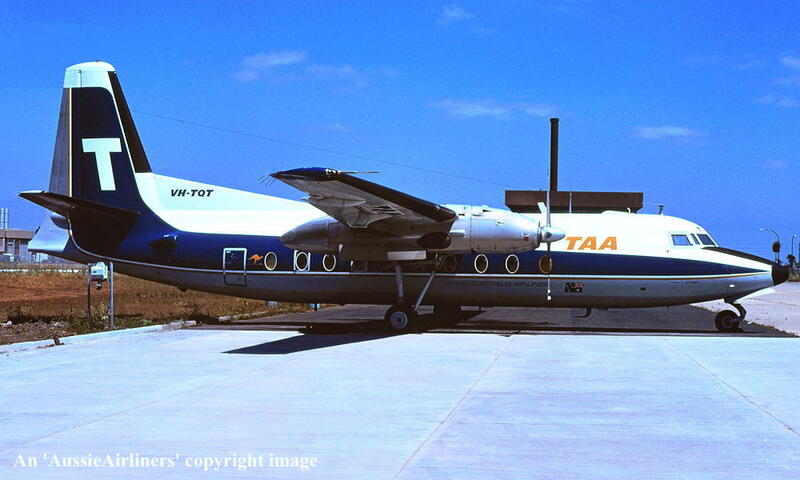 This was the final commercial service operated by a Friendship for T.A.A. Ferried Cairns - Brisbane and placed in open storage - ? Reregistered as PK-YYC - ? 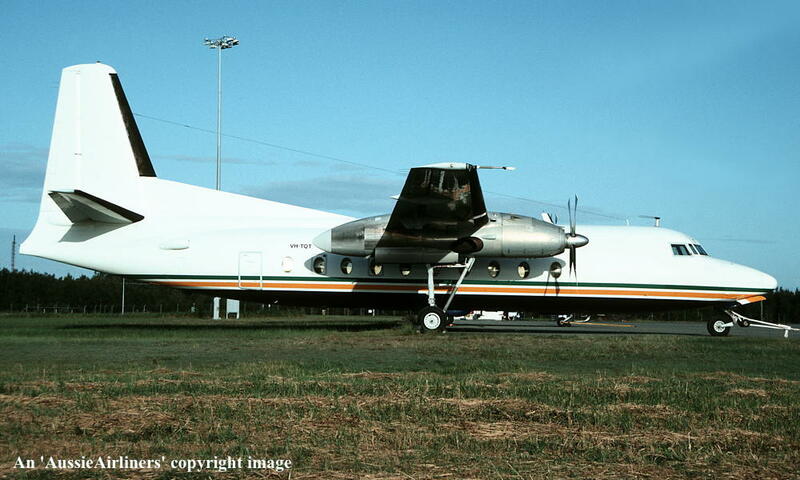 VH-TQT. 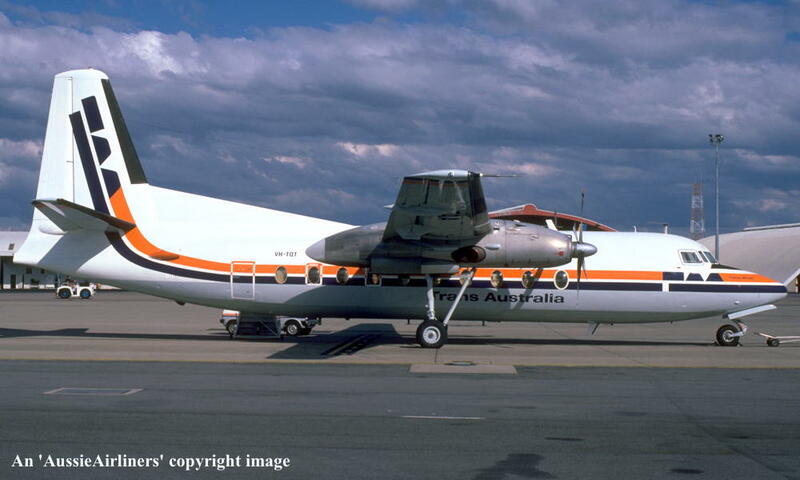 TAA Trans-Australia Airlines - 'Thomas Mitchell' in the final livery at Canberra Airport, July 28, 1978. VH-TQT. 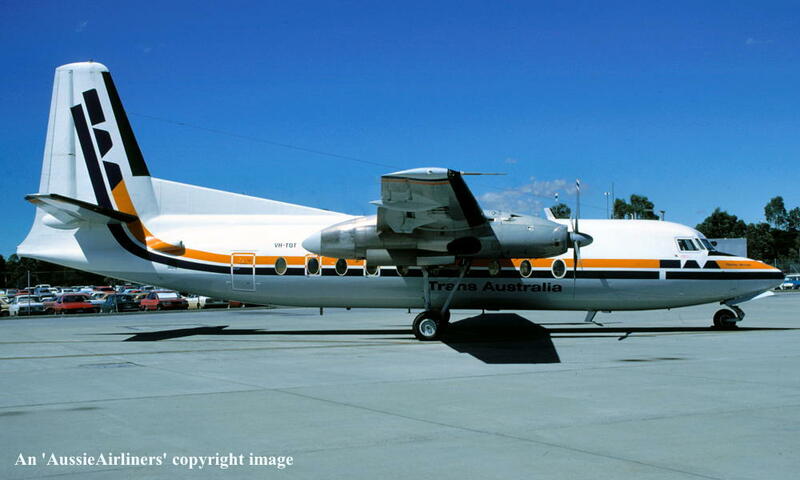 TAA Trans-Australia Airlines - 'Thomas Mitchell' in the final livery at Melbourne Tullamarine Airport, October 1980. 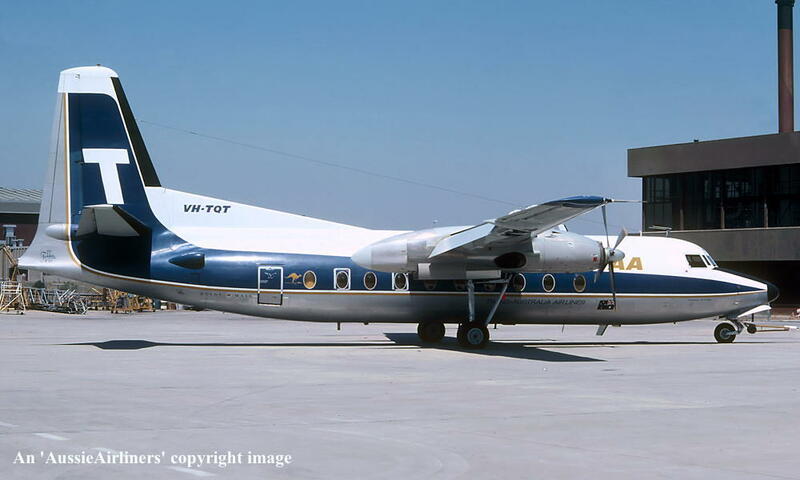 VH-TQT. 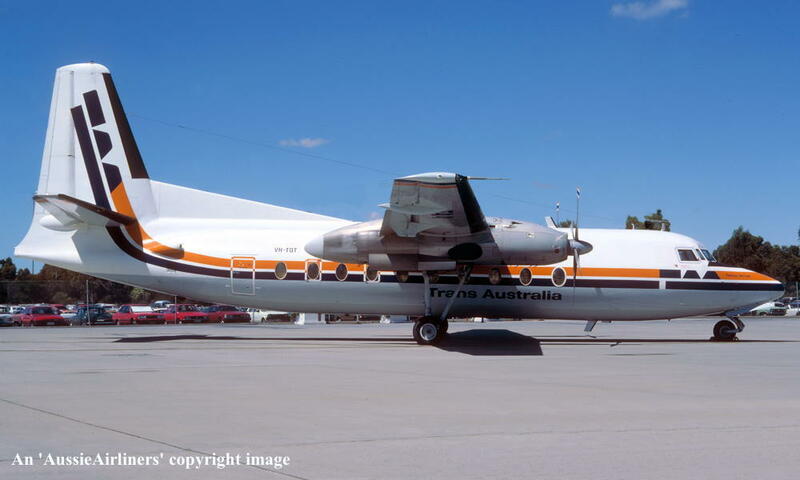 TAA Trans-Australia Airlines - 'Thomas Mitchell' in the final livery at Melbourne Tullamarine Airport, January 1981. 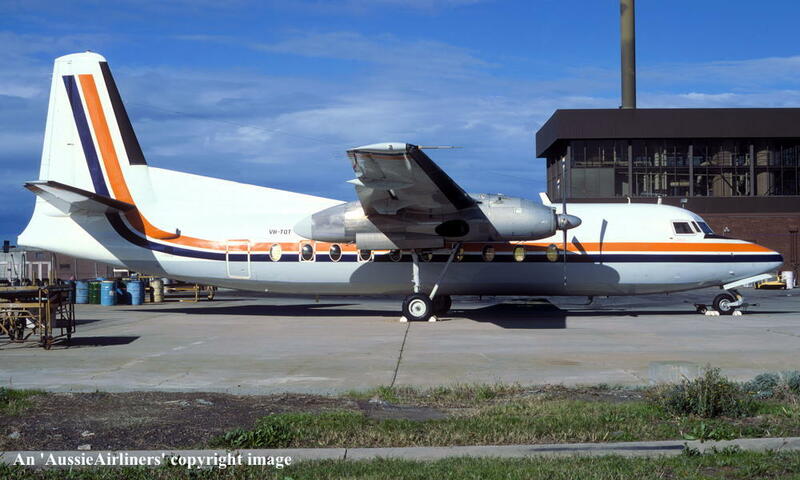 VH-TQT. 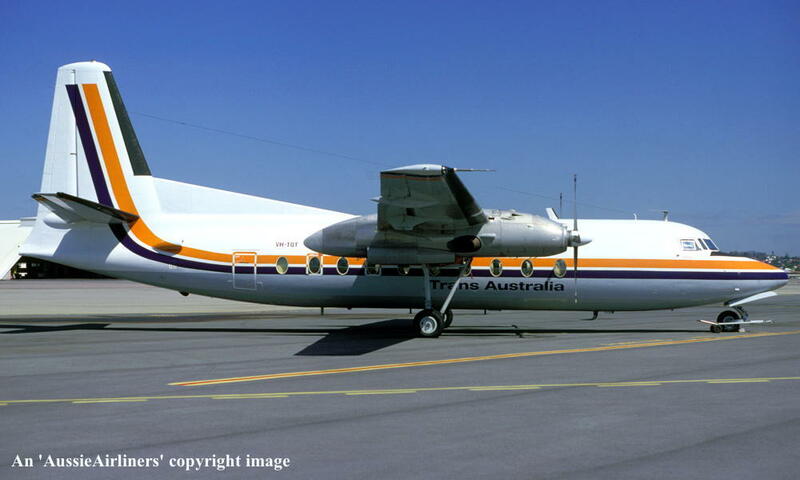 TAA Trans-Australia Airlines - 'Thomas Mitchell' in the final livery at Melbourne Tullamarine Airport, December 1981. VH-TQT. 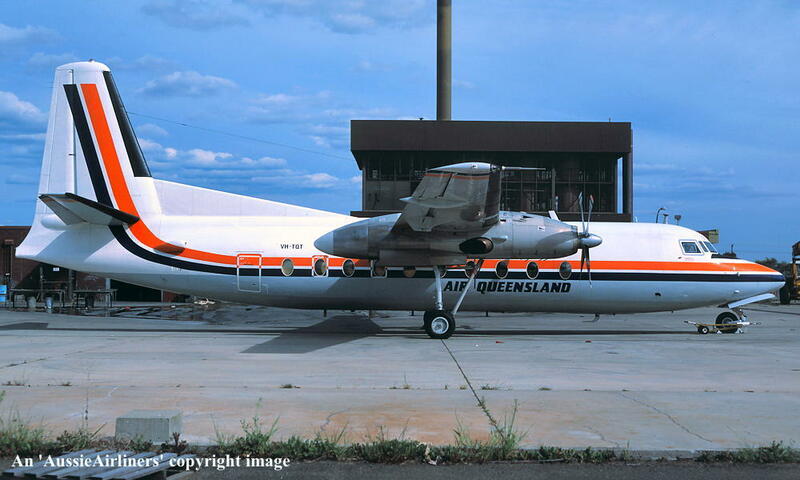 TAA Trans-Australia - 'Thomas Mitchell' in the standard livery at Brisbane Airport, August 1984. 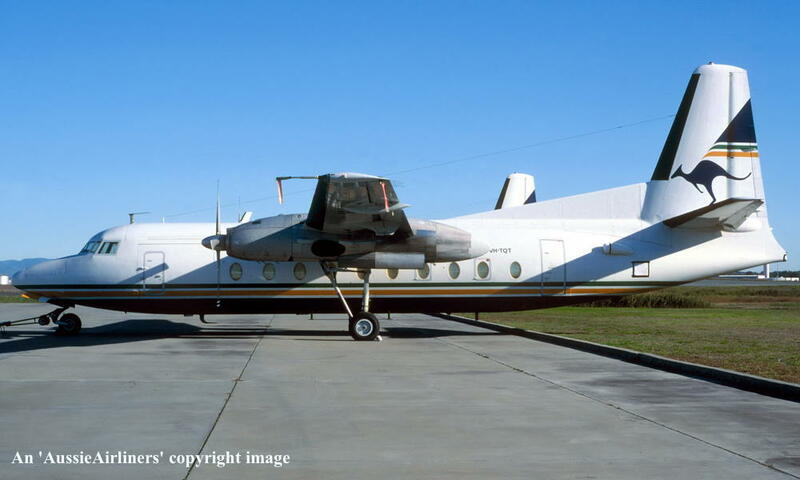 VH-TQT. 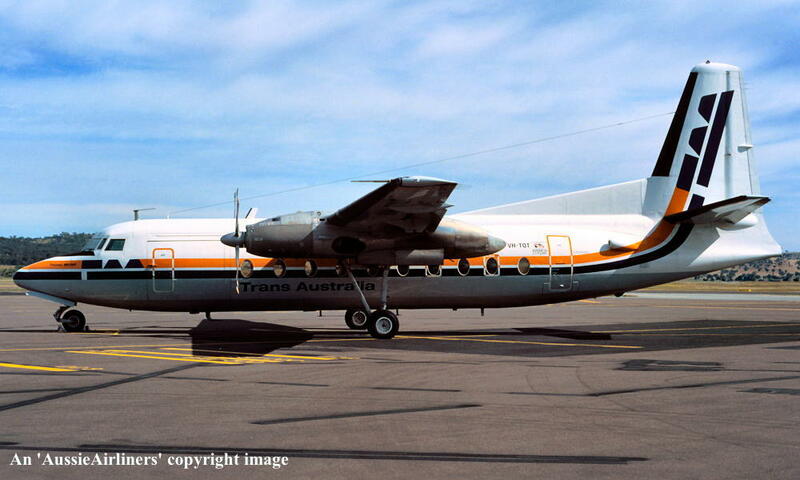 TAA Trans-Australia - 'Thomas Mitchell' in the standard livery at Melbourne Tullamarine Airport, December 1984. VH-TQT. 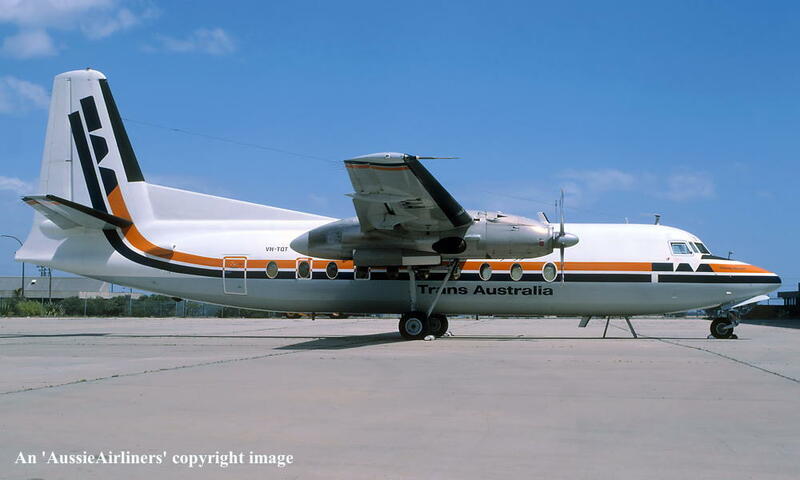 TAA Trans-Australia - 'Thomas Mitchell' in the standard livery at Melbourne Tullamarine Airport, December 28, 1984. VH-TQT. 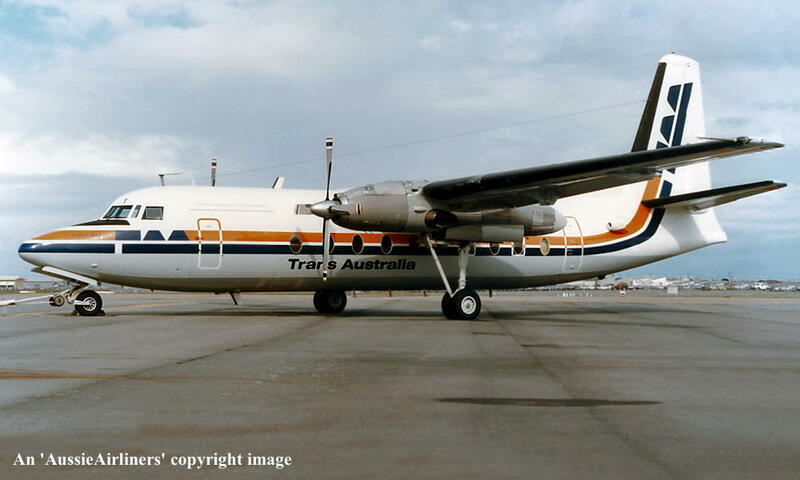 TAA Trans-Australia - 'Thomas Mitchell' in the standard livery at Melbourne Tullamarine Airport, January 1985. 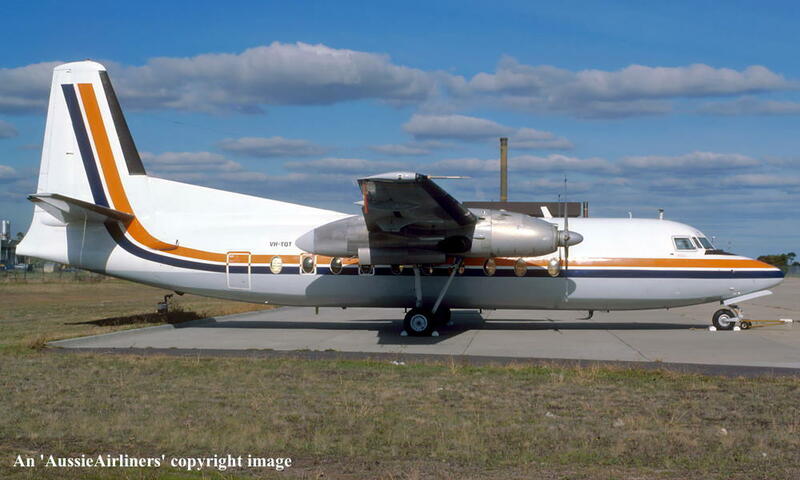 VH-TQT. 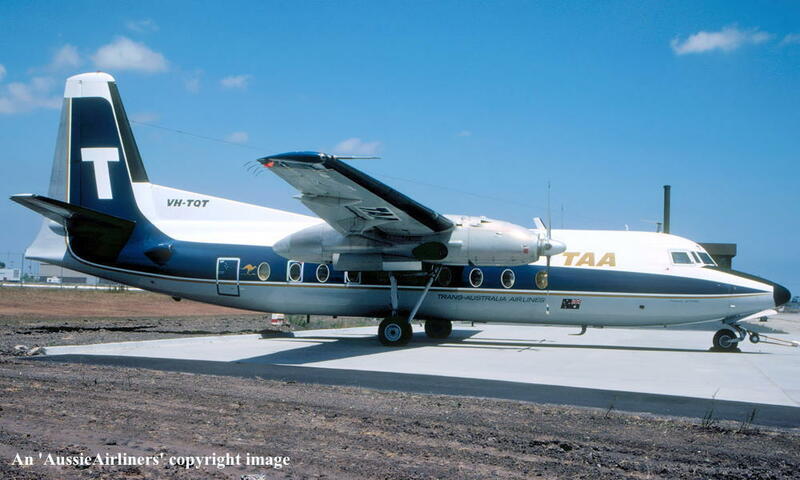 TAA Trans-Australia - 'Thomas Mitchell' in the standard livery at Brisbane Airport, date unknown. 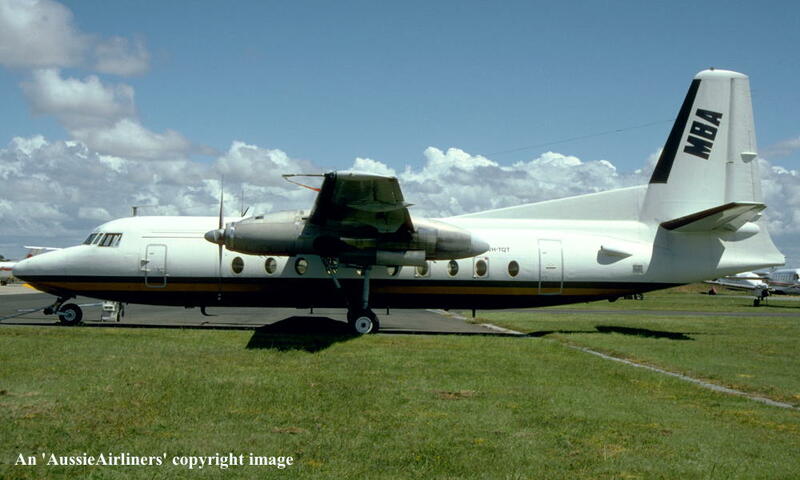 VH-TQT. 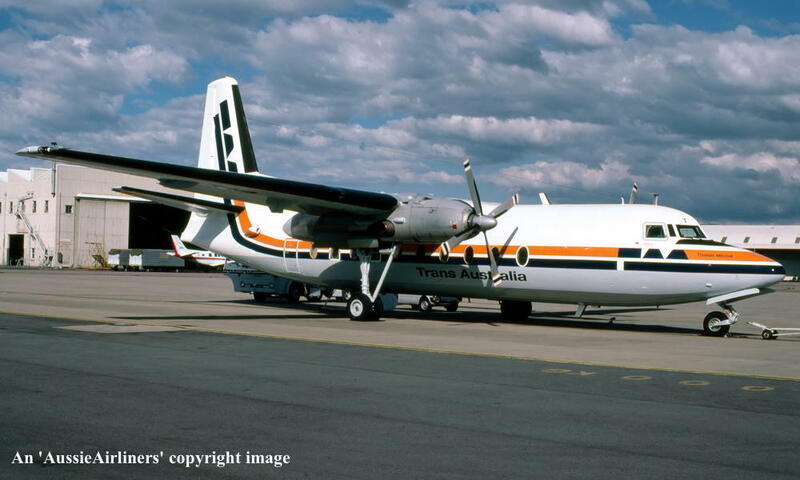 TAA Trans-Australia - 'Thomas Mitchell' in the standard livery at Melbourne Tullamarine Airport, January 13, 1985. VH-TQT. 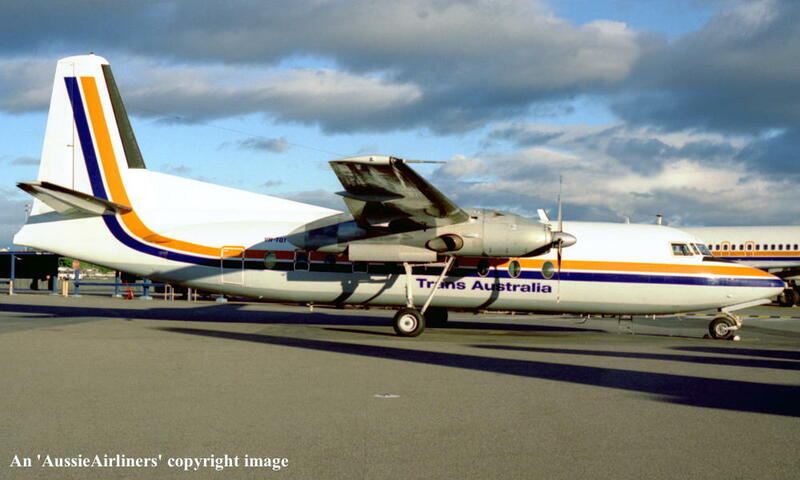 TAA Trans-Australia - 'Thomas Mitchell' in the standard livery with additional 'Americas Cup' titles at Canberra Airport, January 16, 1985. VH-TQT. 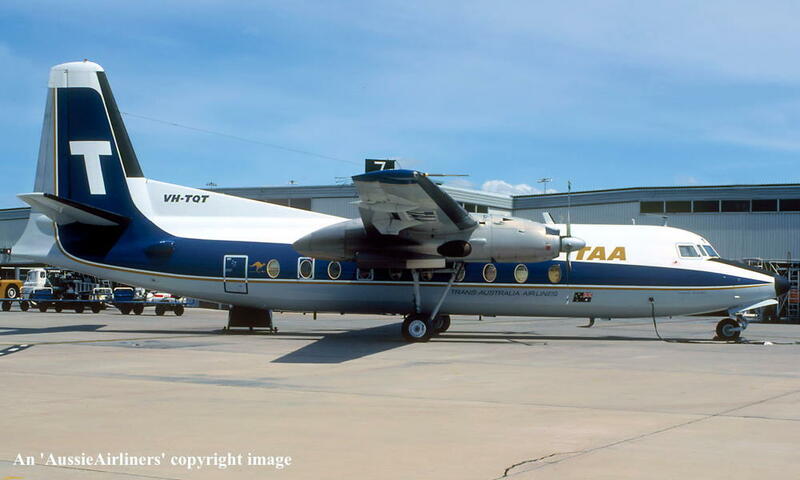 TAA - in the basic livery at Melbourne Tullamarine Airport, May 1986. VH-TQT. 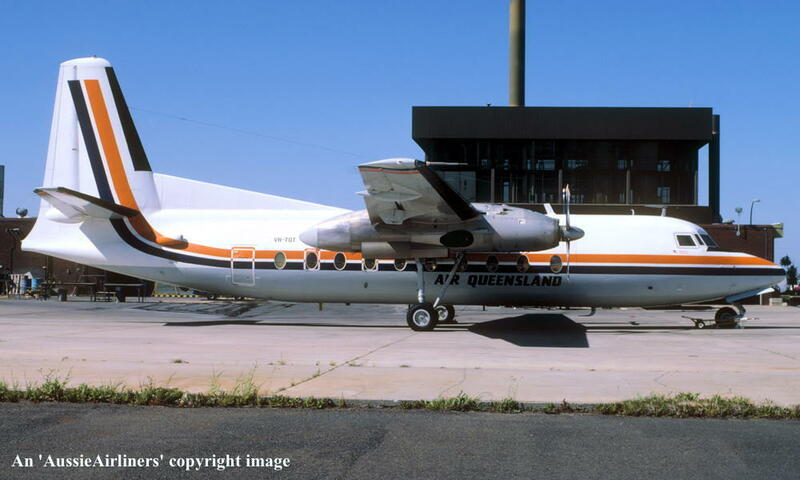 Air Queensland - in the basic TAA livery at Brisbane Airport, date unknown. VH-TQT. 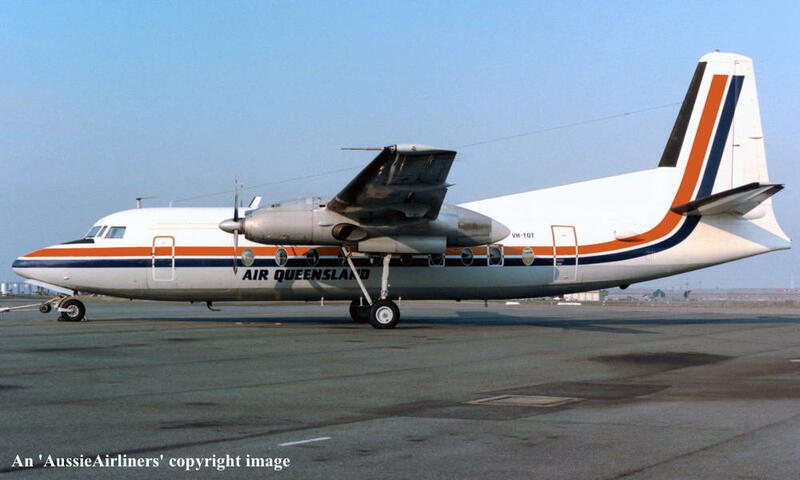 Air Queensland - in the basic TAA livery at Brisbane Airport, September 22, 1986. VH-TQT. 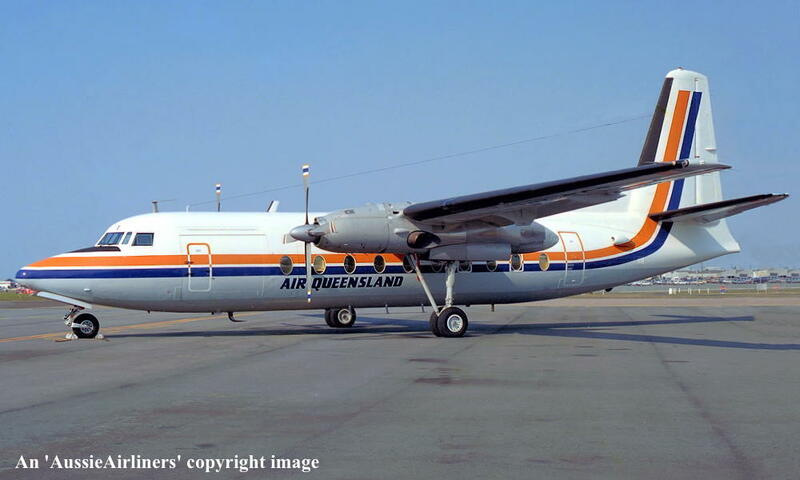 Air Queensland - in the basic TAA livery at Cairns Airport, October 1987. VH-TQT. 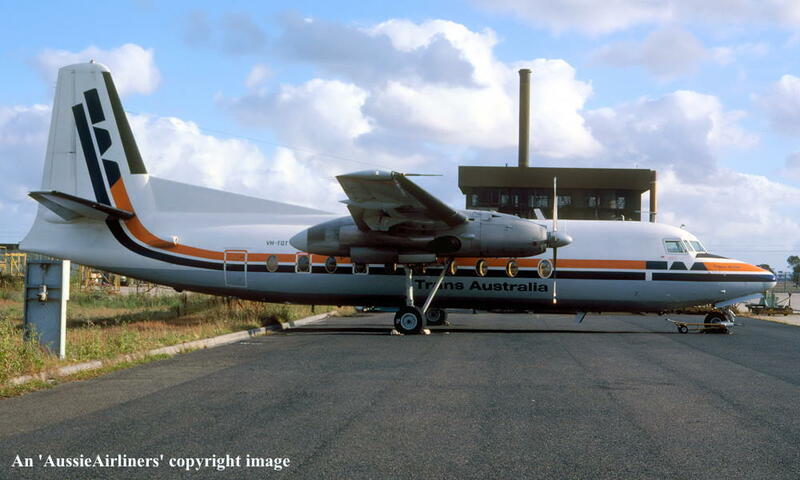 Air Queensland - in the basic TAA livery at Melbourne Tullamarine Airport, October 1987. VH-TQT. 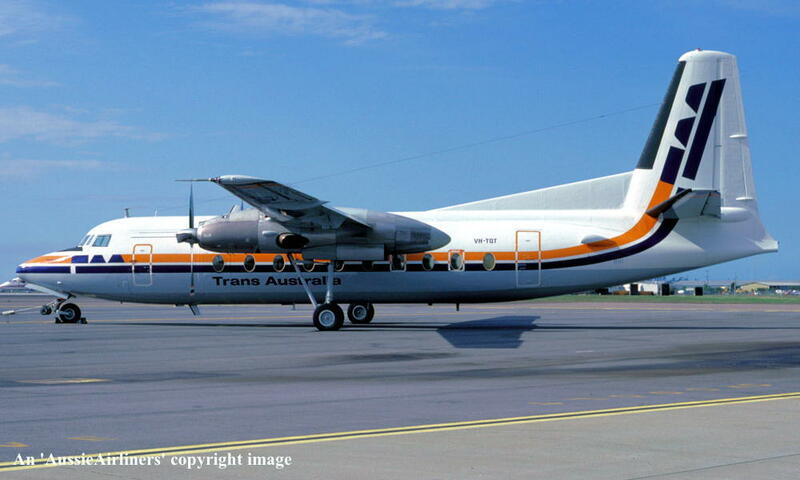 Trans Australia - in the modified livery at Brisbane Airport, April 1988. VH-TQT. 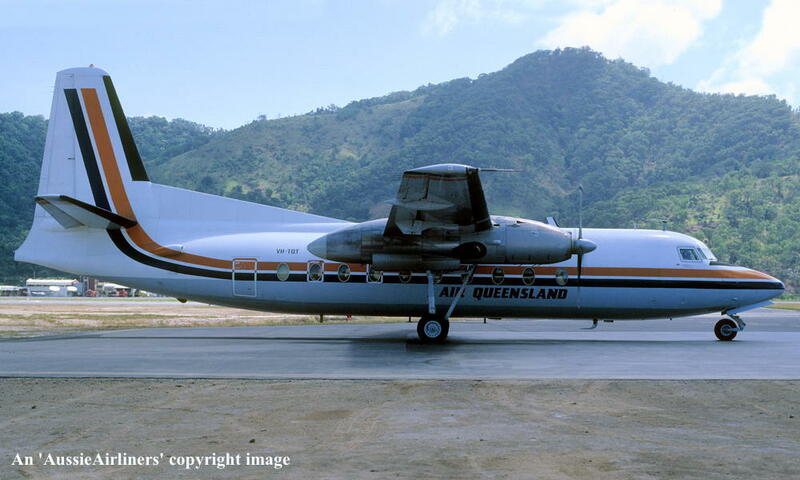 Australian - in the basic livery at Brisbane Airport, date unknown. VH-TQT. 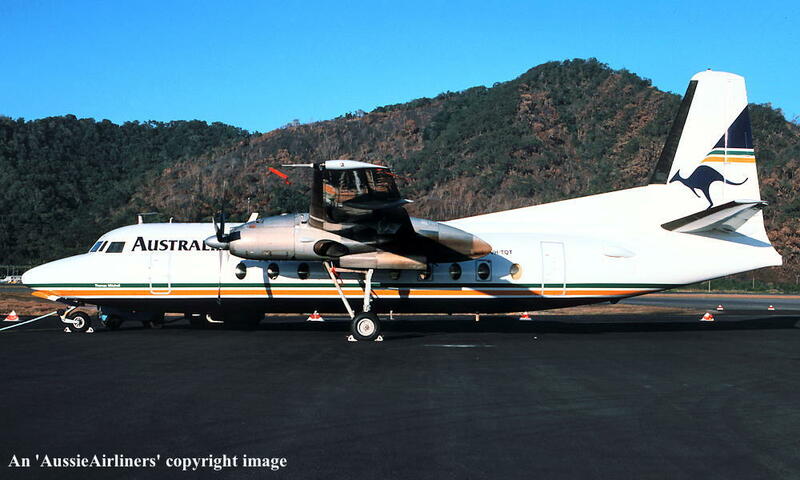 Australian - 'Thomas Mitchell' in the standard livery at Cairns Airport, September 1988. VH-TQT. 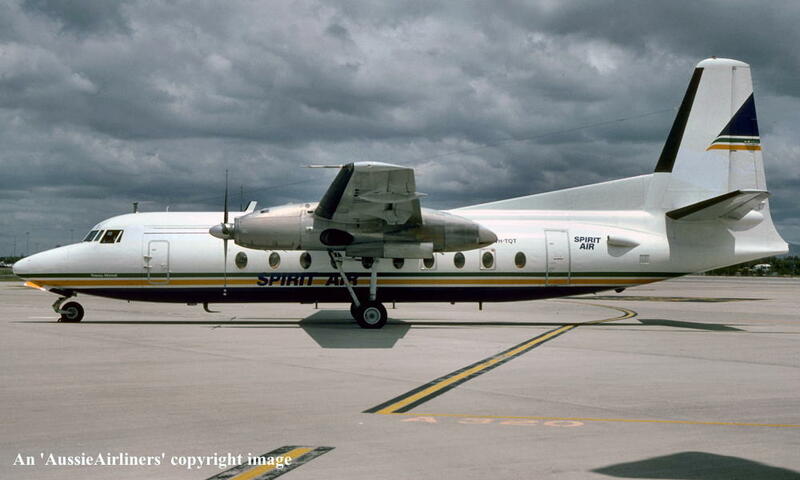 Spirit Air - 'Thomas Mitchell' in the basic 'Australian' livery at Brisbane Airport, November 1989. VH-TQT. 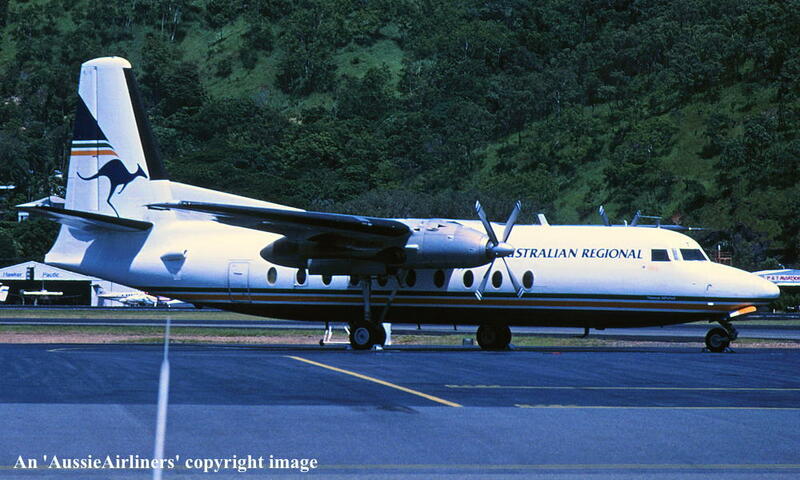 Australian Regional - 'Thomas Mitchell' in the standard livery at Cairns Airport, March 16, 1991. VH-TQT. 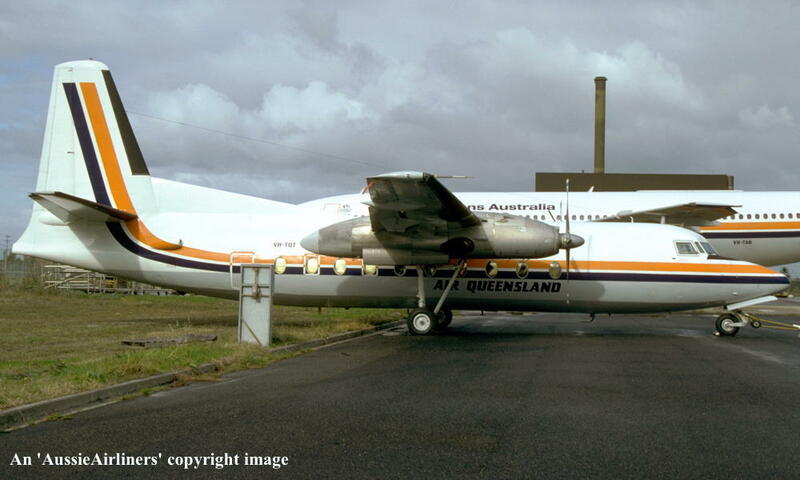 Australian - in the basic livery at Brisbane Airport, April 1993. 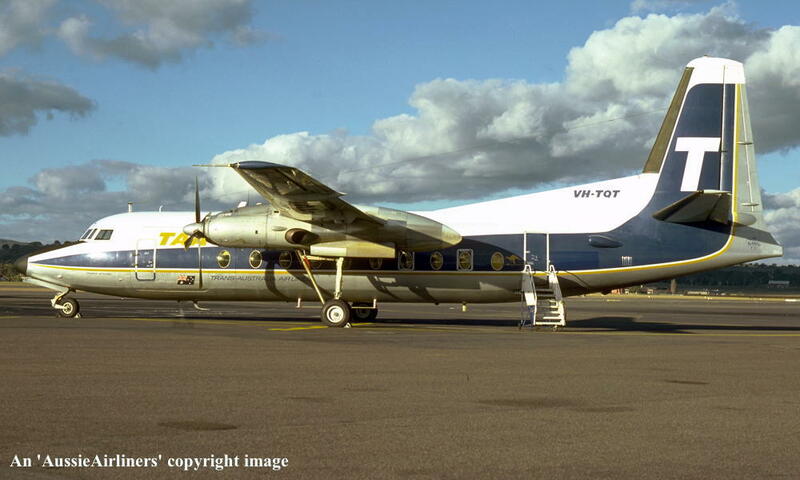 VH-TQT. 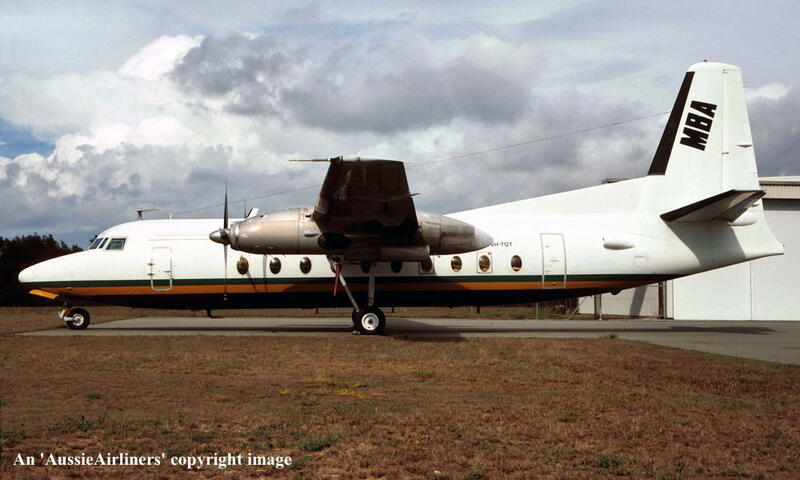 MBA - in the modified 'Australian' livery at Brisbane Airport, May 1996. PK-TSL. 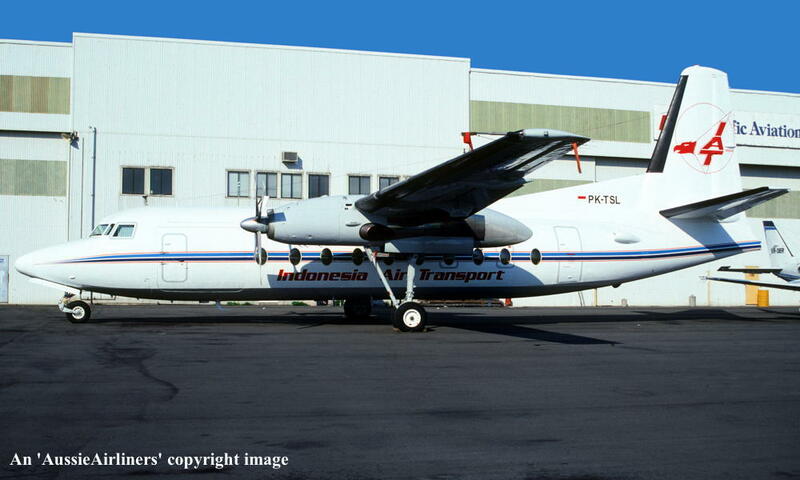 IAT Indonesia Air Transport - in the standard livery at Brisbane Airport, October 1997. PK-TSL. 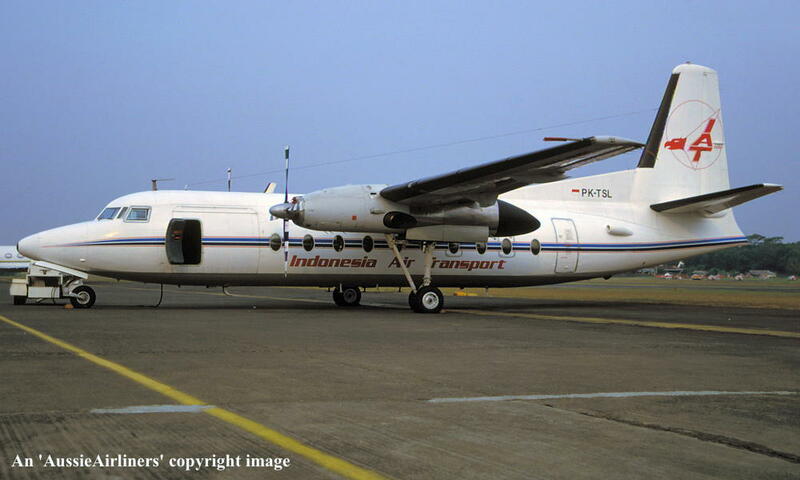 IAT Indonesia Air Transport - in the standard livery at an unknown airport, January 1998. PK-TSL. 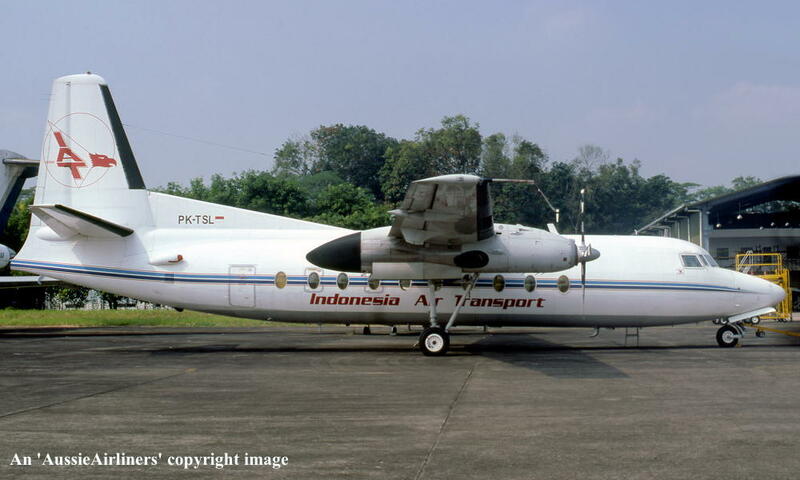 IAT Indonesia Air Transport - in the standard livery at Jakarta Halim Airport, date unknown.